You’ve never heard anything quite like the percussive didgeridoo blues of Blake Noble before. On June 14th, exactly a year after moving to Seattle from his native Australia, Noble releases his sophomore album, Underdog, at the Nectar Lounge. On it, he seems to strike the perfect balance of loud and intricate without sacrificing one for the other. The first track “Tsunami” sets the tone for the album. Just like the titular tidal wave, the track explodes into an all-encompassing wall of sound. Most of the album is instrumental. Not everyone can pull this off. His music at times seems to tell stories that most bands and musicians can’t convey on their best days. One exception to the instrumental nature of this album is the first single, “Truck.” The song features guest vocals from Cody Beebe. Other musicians making appearances throughout the album include Tim Snider (violin), Eric Miller (bass), Isaac Castillo (upright bass) and Heather Thomas (drums). 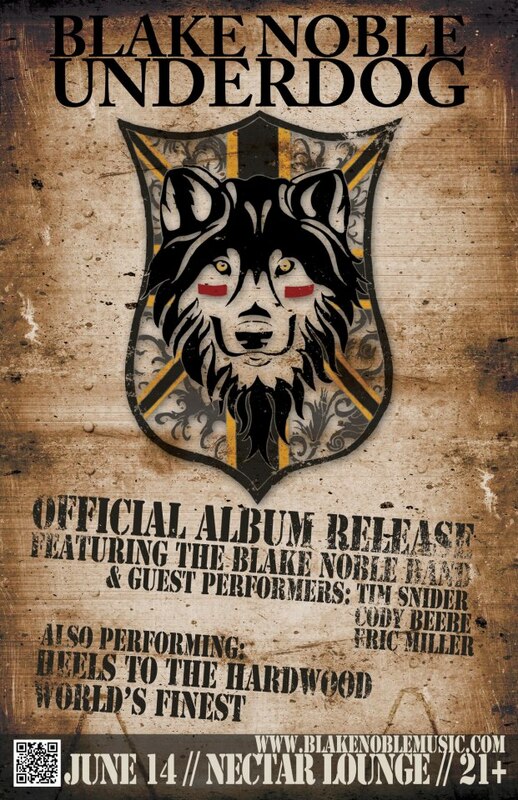 Noble will be playing with the full band featured on his album when he hits the stage at the Nectar Lounge this Friday. If you don’t want to wait until then you can listen to some of the new tracks on www.blakenoblemusic.com or catch his recent feature on Seattle’s Evening Magazine here. Tickets are $8 adv/$12 door. Written by: BBS on 06/12/2013. This entry was tagged blake noble, Chris Senn. Bookmark the permalink.